The hardest part of dealing with a family member or friend passing is getting closure. We have so many questions that start with “what if”. Without proper closure those questions can cause great harm to an individual’s world. The best way to get immediate closure is to create the resting place of the lost loved one. 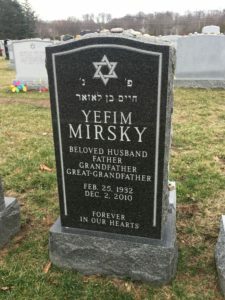 At Jewish Monuments NJ, we specialize in creating the most elegant, beautiful plaques. That is why monuments and everything they entail are the standard procedures for such a traumatic situation. 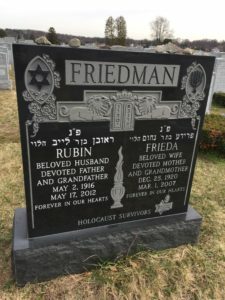 Having the monument allows the family, and friends to have a physical place they can go to in order to seek reflection, personal growth, and closure. 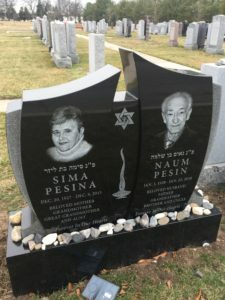 Bronze plaques are an excellent addition to any Jewish monument or plot for a number of reasons. 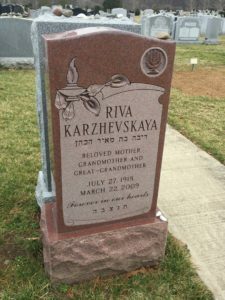 Jewish Bronze Plaques don’t have as much access to different colors as granite for monument building. That being said there is still a range of shades you can get bronze in. We can produce bronze plaques in virtually any size or shape you wish. As for designs, we can apply a border to the plaque that will be made of granite, or other stones such as marble. These borders can be etched with patterns, or floral designs to your liking. Ledger Markers are larger sections of granite that make up the majority of the monument. Flush markers are a bit more affordable and is available in granite and bronze. Bevel markers are set at small angles which give a slight overcast appeal to the monument. Slant markers are similar to bevel markers but they are usually shorter with a wider foundation. Upright markers are taller than most similar to a monolith and typically adorned with a tablet or symbol at the top.